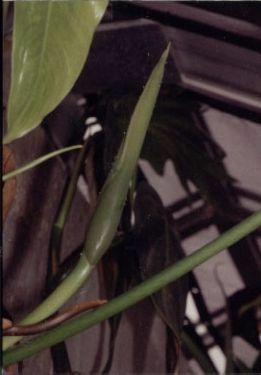 Philodendron subg. 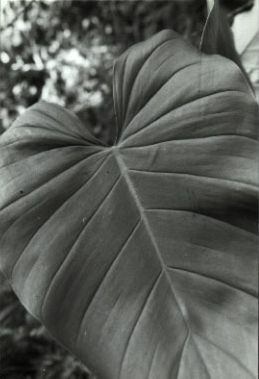 Philodendron species vary greatly in the degree to which the posterior lobes are developed, being usually rounded for those species with cordate leaf bases as in P. glanduliferum (Fig. 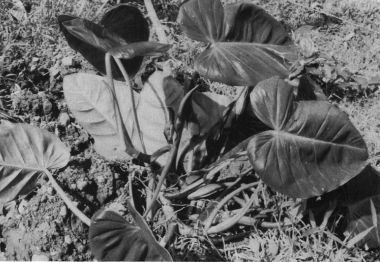 197) or P. platypetiolatum (Fig. 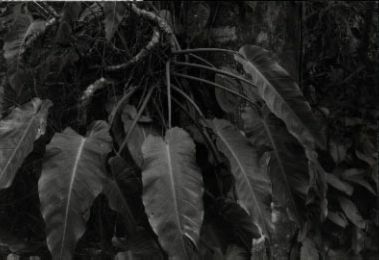 306) or cordulate leaf bases, e.g. 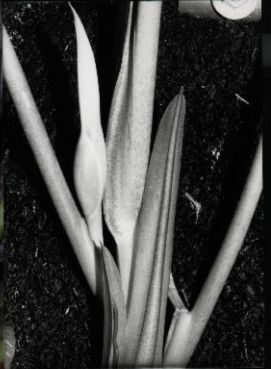 P. auriculatum (Fig. 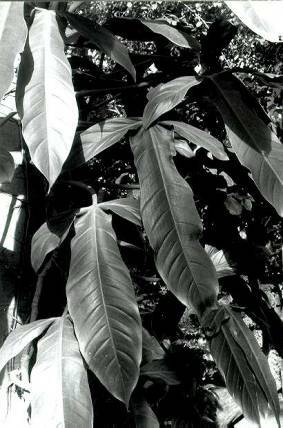 69), P. immixtum (Fig. 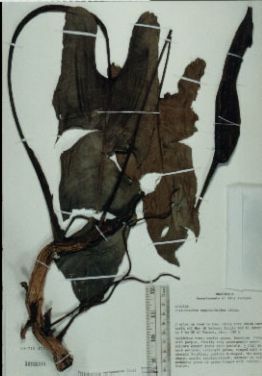 236) and P. pseudoauriculatum (Fig. 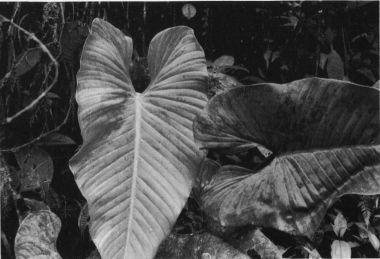 314) to more or less oblong to narrowly triangular and much longer than wide as in P. verapazense (Fig. 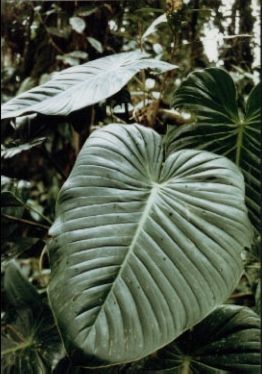 434), or sometimes in P. sagittifolium (Fig. 346) and P. tenue (Fig. 404). Even in species with well developed posterior lobes the lobes may be about as long as broad, as in P. purulhaense (Fig. 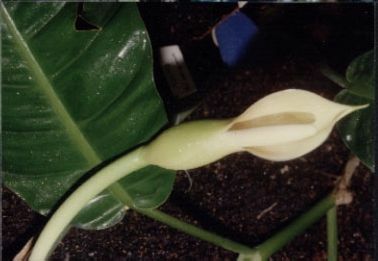 322), P. tysonii (Fig. 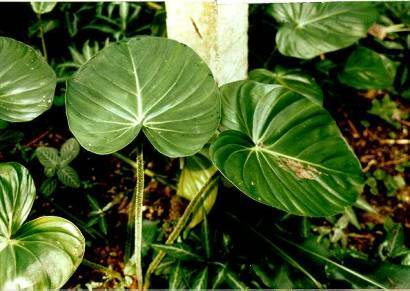 426) or P. schottianum (Fig. 365). Posterior lobes may be saggitate as in P. brunneicaule (Fig. 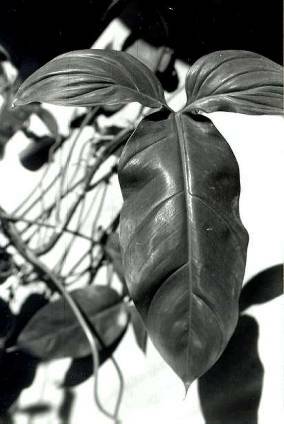 95), P. hebetatum (Fig. 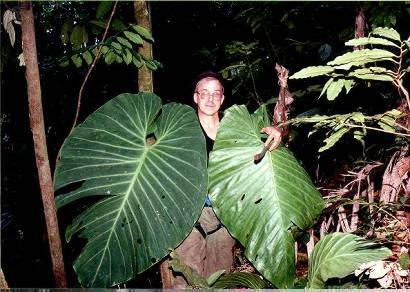 218) or P. gigas (Fig. 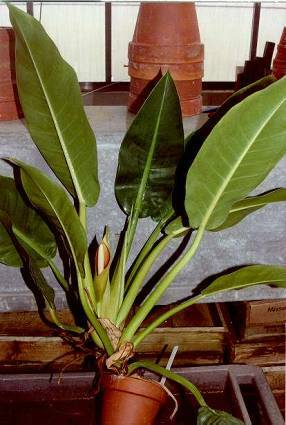 194) to hastate as in P. angustilobum (Fig. 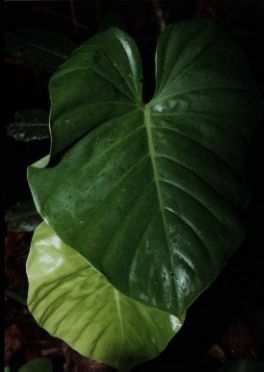 49), P. anisotomum (Fig. 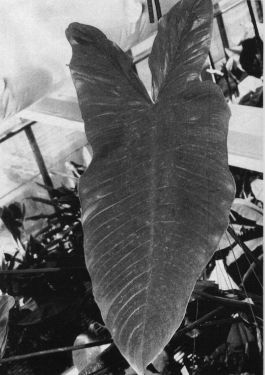 55), P. mexicanum (Fig. 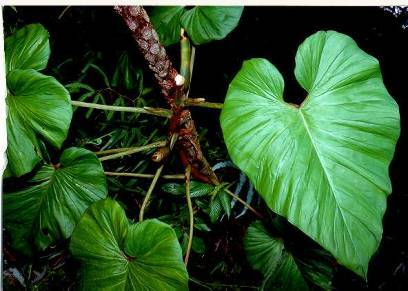 287) or bluntly triangular as in P. wilburii var. 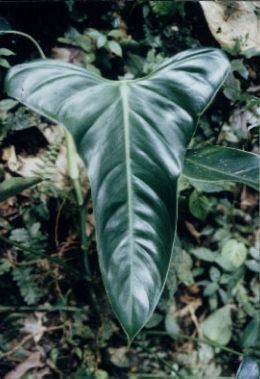 longipedunculatum (Fig. 461).